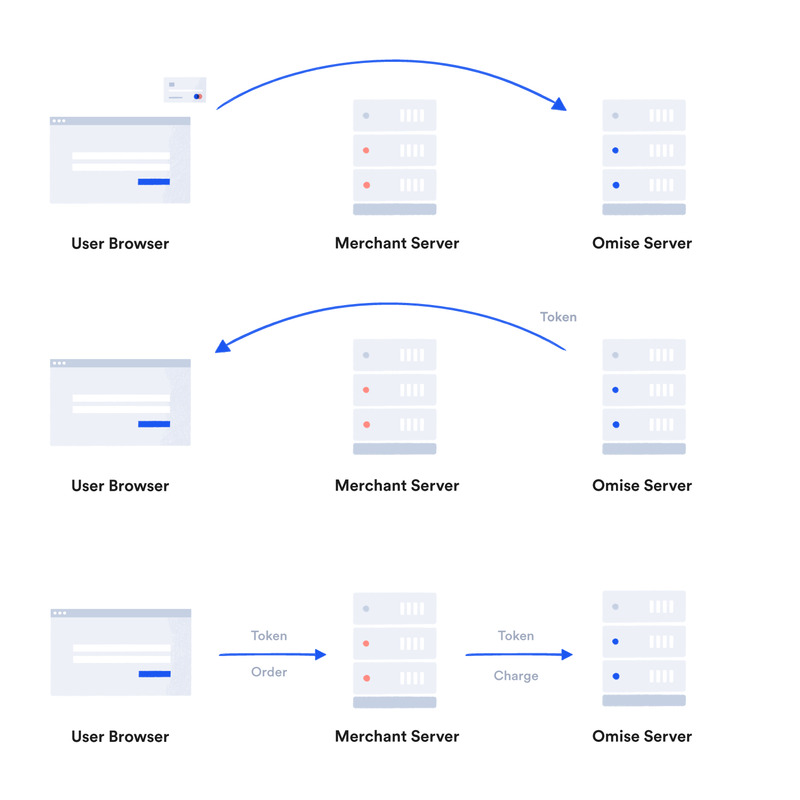 This article will help you build a form that will let you collect cards directly from a page on your website and tokenize them. Use this token to take an action on the card. You can charge the card, save the card on a new customer or attach the card to an existing one. Please note that we recommend against storing that token. Since it is one-time use only, there is really no point in saving it for later. It's generally a good practice to use it right away and forget about it. You can learn more about the tokens API in the tokens reference. First you need to insert Omise.js into your webpage you can add it before the closing </body> tag. Next you need a form that will collect the card details. Next we need to trigger the creation of the token when the submit button is pressed. Then fill the token field and clear the other fields so they are not submitted to your server. That's it! Omise can start collecting credit card information and you get a token in return which can be used to take an action on the card.